Wow! I had such a wonderful birthday this year. and bf for making my birthday perfect! for making this Miu Miu-esque print. lovely birthday cake my best friend made mee! Hehe These glasses are just PERFECT! That dress looks lovely on you! i'm glad you had a great birthday! Happy birthday gorgeous girl! I absolutely love this dress, it looks so greta on you. I also think you have the most beautiful hair. Hope you had a magical day. I love the print! Happy Birthday! I'm glad to hear that you had a wonderful birthday! :) Your cake looks deeelish. And oh my, I love the adorable print of your dress, and all of your bracelets and rings and accessories! Yay! Happy Birthday! You look amazing (love the cat print!) and sounds like you had a lovely day! Happy belated birthday! Great birthday dress, and i love your blog. Following on bloglovin. Happy belated birthday! I love that dress. It's so pretty and I love the little kitty print. The dress is just too adorable! Awh, happy birthday Bonnie! You looked beautiful! 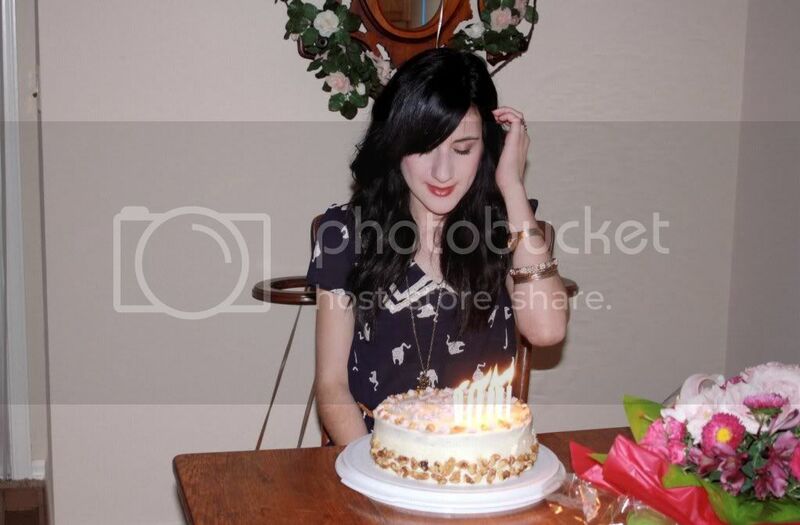 I absolutely adore the picture of you and the cake (it looks so yummy). And you are seriously the best at acessorising! Happy birthday then, I hope you had a great day! I know you studied abroad in Britain for a while right? I'm thinking of taking a semester in Germany and I wanted to know your opinion on studying in Europe. Lovely dress! Love the shoes too. Happy birthday! Glad you had a lovely bday! Great gift from yourself. That dress is gorgeous and I love the ladylike way you wore it. And I really like your dress! And I love that cat dress, you look so cute! Ahhh! 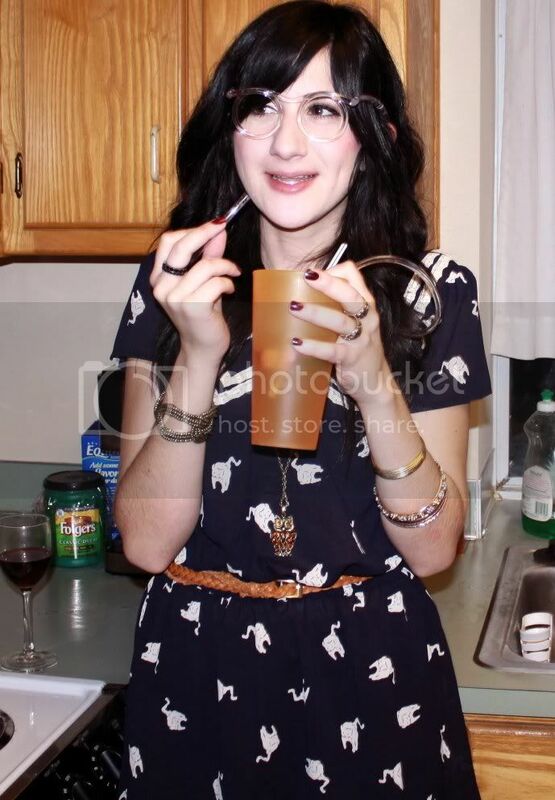 I love that dress and the glasses! happy birtday lovely bonnie you're always good in your dress and i like you're shoes and bracelet. take care! I love love love your dress!!! Amazing! loving the miu miu inspired dress! and the way you pair it with sling bag is awesome! seems like you had so much fun on your bday! that dress is fabulous! i hope you had a wonderful day and are still celebrating a little bit! seams like a great one!!! have a nice week! and visit my blog! i'll follow you if you follow me :) so... think about it! Happy birthday. that's such an amazing dress!! the collar, the print, the colours, everything is perfect. Glad you had a good birthday, you enjoy it pretty girl! Happy Belated Birthday! And I love that dress! So cute and it looks like something you'd wear :) I hope you had an amazing birthday girl! Very Miu Miu. Love it! I have been loving your hair lately. the dress is damn cute!!!!! love the outfit your wearing..gorgeous..
may all your dreams come true..
Awwwwwww Happy Birthday :D What a lovely dress for a special day. really cute dress, happy birthday! aww you look so pretty! happy belated bday! happy belated birthday! you did look wonderful. dress is awesome. I didnt know they have miumiu-esque print at nasty gal. I also see you have my cousin from Restless Hearts on your blogroll :D Lovely writer isn't she ? Thank you for the sweet comment!! Thanks for the comment, hope you had a lovely day! Lovely dress! I like it! Happy birthday, Bonnie!! Sounds like you had a great time on ur special day! That IS a lovely cake from ur bff:) Love the dress, too! Glad you had a good birthday!! That dress is serious perfection - I love it! Love your blog too, now "following" you! glad you had such a lovely birthday Bonnie! oh and this dress is so much better than the one from Zara last Spring! Kitties and nautical neckline, amazing! I love love the dress!! cute dress! You look super stunning! Happy birthday, glad you had fun! Im obsessed with cats too, lovee this print! happy birthday! love this dress, the collar is so cute. Totally in love with your dress!!! you have an amazing blog and great style. i love your miu miu esque dress! Nice article you got here. I'd like to read more about that matter. The only thing I would like to see on that blog is some photos of some gadgets. happyhappyhappy birthday!!!!! amazing dress. holy crap haha. aaahhh I just caught up on all of the entries I hadn't read...3 pages worth. My eyes are sore but I am inspired. Here's hoping that Tuscaloosa thrift stores have something for me, haha. Happy belated birthday! 10/10/10 - I hope you made it pretty epic, haha. I wish I had found your blog sooner! I love your fashion sense - vintage, feminine and city girl pragmatic. You are my new style icon! happy birthday and cute dress! oh beautiful dress and what a lovely cake! thanks for visiting my blog! hope you had a wonderful birthday! Happy birthday!! I hope you had a wonderful day! ur dress looks so cute in you.. I hope you had a wonderful birthday (it sure seems that way!). And I am completely obsessed with cats as well. I don´t know if you have noticed but I keep posting pictures of cats on my blog. They are just so cute! And so is your dress. I simply love the print. i love your dress so much!! and your accessories!! love your whole outfit! :D gorgeous look!! So cute! Happy birthday and I like the fashion smell very much! !